The Jtest installation consists of two parts: installing the Jtest application proper and installing rule configuration. Note that Jtest requires a license to run. The license information can be updated after Jtest has been installed. This can be done in the "jtestcli.properties" file in the "FileServer/chk/jtest" directory. Normally, you can rely on the TICS Windows installer to install the Jtest code checker for you. 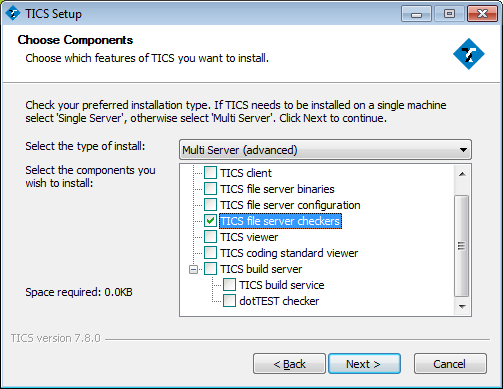 Start the installer, select Multi Server (advanced), and enable TICS file server checkers. In case this does not install Jtest, follow the steps below to accomplish this manually. Go to the codecheckers directory and find the installer that is suited for your platform, e.g. "parasoft_jtest_10.3.3_win32_x86.zip". Download "parasoft_jtest_10.3.3_win32_x86.zip" and extract it to the File Server installation directory (as configured in Install File Server), followed by "\chk". 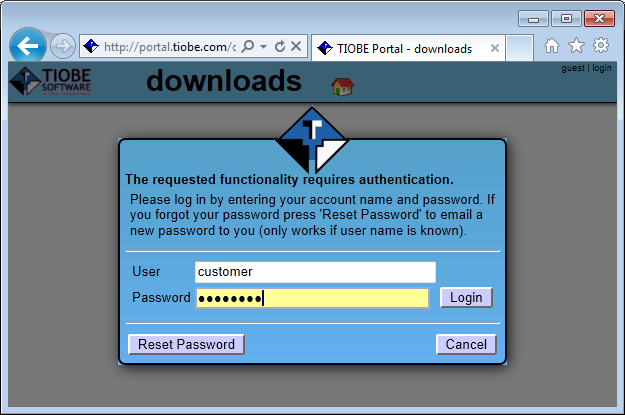 E.g., if the File Server is installed in "C:\Program Files\TIOBE\TICS\FileServer" jtest goes into "C:\Program Files\TIOBE\TICS\FileServer\chk". The Jtest installation is complete. 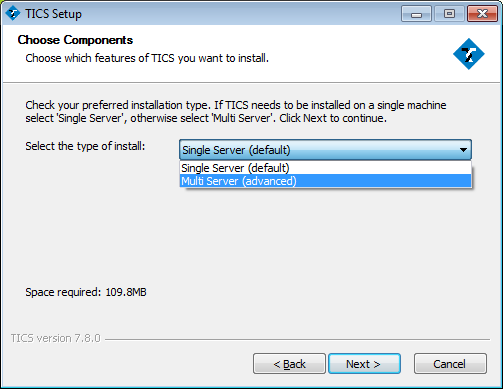 Normally, you can rely on the TICS Windows installer to install the Jtest rule configuration for you. Start the installer, select Multi Server (advanced), and enable TICS file server configuration. In case this does not install the Jtest rule configuration files, follow the steps below to accomplish this manually. The Jtest custom rule files installation is complete.